I would like to talk about the pitfalls of martial arts training. 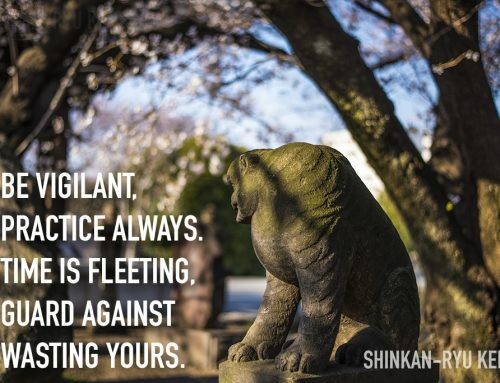 Although I focus on kenjutsu or iaijutsu training this advice applies to all martial arts. Training troubles. Waza woes. I guess that it is mostly students that have this problem. Teachers might also have this issue. Often people ponder in martial arts study asking, "What am I doing?" and "Why am I doing it?" These are apparent questions but what is not so obvious is how these questions can become a problem. It is good to ask the questions; “what am I doing,?” and "why am I doing it?”. 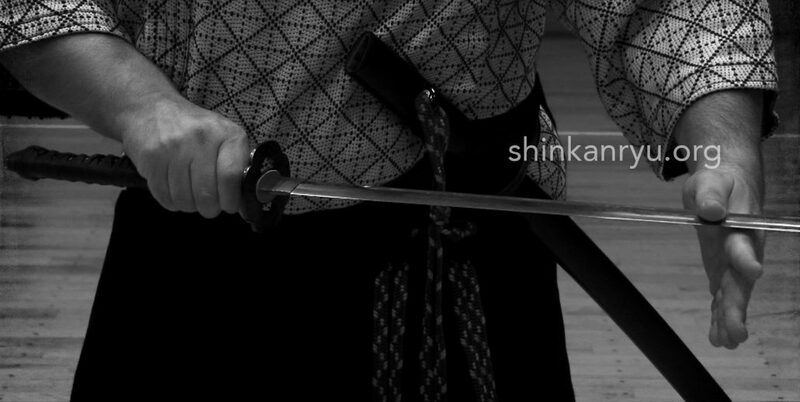 When I do nukitsuke (drawing the sword), there is a reason I grip the sword like this or that and not like this or that. What happens to many people, however, including me at times in the past, is that you can quickly get drawn into rabbit holes and go crazy with contingencies within techniques. For instance, we learn a technique where an opponent comes in for an attack, and we are supposed to counter and move and draw the sword in such a manner, or we are supposed to lock down the sword like so and draw our wakizashi. What follows is usually asking yourself, or your teacher, " But what if..?" "Sensei, what if they do this...?" "What if?" What if indeed. Most traditional techniques don't have a plethora of contingencies. In fact, this is now what learning martial arts are about. Immature thinking is rife within "martial arts" schools all over the world. There are some techniques that you learn at the start, and then possibly, later on, you learn counters to those techniques or expand on them. There are some times called omote and ura or henka waza. We are not training to have methods for every permutation of attack. No classical Japanese martial arts has ever done that. So why are you trying to do that? It is a waste of time. 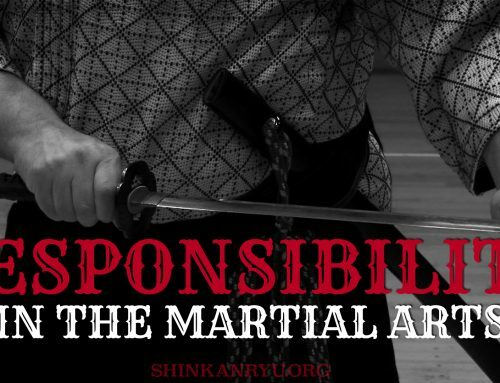 Real martial arts is not about the singular technique to win over someone, it is about holistic training of the ryū-ha, style, and swordsman. This is also prevalent in the endemic thinking within martial arts of dojo hopping and trying to take techniques from many different sources without having a foundation in any. One thing that happens if you're a martial arts student or even teacher and you get into these debates you veer off the path, and you forget what you are training for. I feel that there are combative attitudes and ideas and ideals and mindsets which are behind the techniques. We, of course, have the unique methods of the tradition. The amount of waza is not important. The idea that the quantity of techniques is essential is some times seen when people often try to expand the techniques and boast they have 400 waza. Cramming things into your dojo doesn't increase the quality. If you are throwing numbers into your school as a marketing ploy, I believe you are doing it wrong. You shouldn't be using it as a selling point. 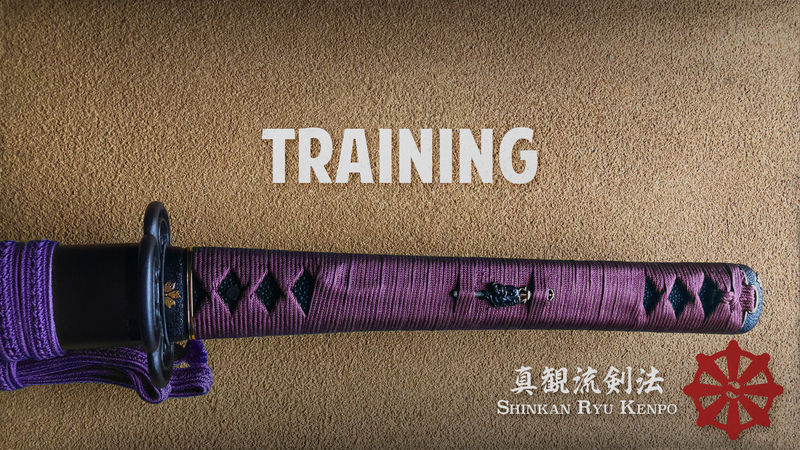 It might be good if you are a true sogo-bujutsu ryū-ha and doing kenjutsu, sōjutsu, kyujutsu hojojutsu..etc. etc. That's good. 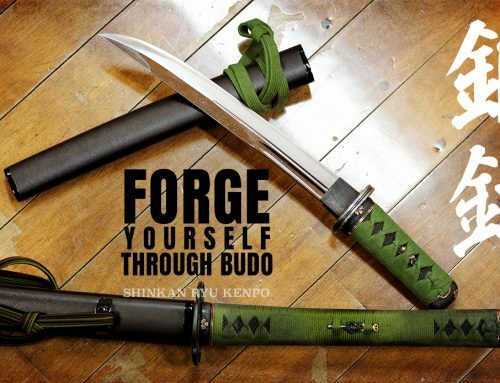 There are some classical Japanese bujutsu like that, and what you usually find is even with the various weapon systems the techniques are actually reasonable in number. If you train one technique and do that over and over again, you expand the essence of the warrior mindset and elements used in combat. You increase the depth of the martial artist's understanding of the technique. You don’t expand the amount, but you develop the quality. When you actually do the waza correctly, you understand what the combat and context are about. What is the school actually trying to teach you? It is not merely the technique. I don't need to have a contingency or backup plan in my head if he doesn't strike this way, or that. I certainly do not need to fret I don't have the smaller sword. There might be another waza where I do this or that. That action to counter that is available in my toolbox. That's what you are doing. You are putting things in your toolbox. Trying to say, what if does not, in the end, do anything to enhance the technique. It's important to understand that if you have all these 'what if' questions, then you aren't training correctly. You do need to have questions. I am not saying we should not question anything. If I approach someone on the ground, for example, why am I bending my leg? Branching out from that, however, and saying what if, what if. It is, in my opinion, an immature training mindset. It is fantasy sword (martial arts) training and borderlines on LARPing. Do you think having contingencies and planning for everything is real bujutsu? If an enemy comes this way and I have a damaged leg I can do this or that because I trained as if I had an injured leg, is nonsense. It might make for an interesting exercise on a dull Saturday afternoon, but it's not part of real training. People think rolling around in the mud or training in shallow water or on slippery surfaces enhances their training. These people will argue that samurai on the battlefield had to deal with such environments. While combat does not wait for fair weather is undoubtedly true, if you believe that merely training that way is enhancing your training, then you are lost in the dark. That type of mindset usually weighs the scales to one side and leaves other areas of practice neglected. Looking at modern combat resources, the military doesn’t train for thousands of contingencies. They train to respond. There are some techniques, of course, but the more significant aspect is combative mindsets and psychology. That is, in essence, the same thing that we are doing in kobujutsu. We are training to respond correctly. You are preparing yourself in the waza to perform successfully under duress. In the beginning, it is light and easy. Slowly the instructor adds duress and variations and exploits your weaknesses. Then you can understand moving this way, or that is bad or good. It's not a linear A-B-C type of training. People go off to martial arts training and ask what if. What if I have no arms, what if I can not move? What if I have no swords? Going back to the original question of someone asking me how one would draw a sword with the left hand due to an injury with the right hand. This kind of question is reasonable to briefly consider but not to ponder deeply and follow. If you have an injury to your hand, then what is the problem? Are the extensors cut or flexors severed? Is the damage on the back of the hand? In my idea, it that it is martial arts foolishness to chase down these contingencies. 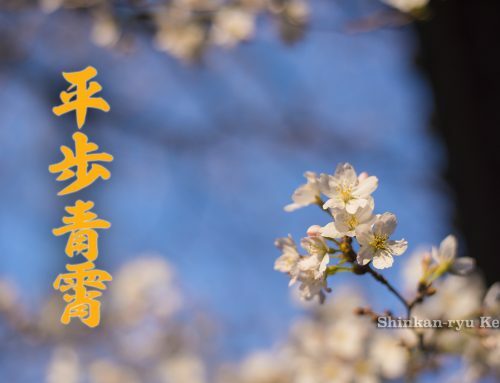 It is a waste of valuable practice time. There are all kinds of physical and mental techniques that your school should be teaching to help you deal with such things. So I am put am in this hypothetical situation by my student where my right hand is unusable. It is a silly idea, of course, because your wakizashi or tanto is in your belt. When presented with that fact the student says, "But what if you don't have your tanto or wakizashi?" Can you see where this is heading? If you can not see then its probably an indication you need to think more deeply on this whole subject. It's heading right down a rabbit hole. Those contingencies are pure fantasy. You might think you are creating a wholistic bujutsu; however, you can not do that and train properly. The actual techniques just aren't present in your school. Why are you unhappy training within your system? There is a reason why some things just don't exist. So it is these fantasy situations that really don't propel the art or your practice further along. If my art doesn't have a technique (mental or physical) to deal with this then making one up is not the answer. Now you could if you have a lot of years under your belt, try to form something new. If, however, you have to ask these why why-why questions, then I would argue you are not at the level you need to be where you should be creating new techniques. You really don't want to train in these fantasy scenarios. 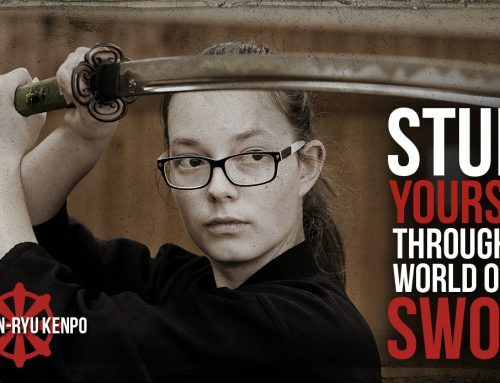 It doesn't make your budo better than other schools or the best you can be. If it doesn't elevate your martial arts training then throw it out. Anyone that has kids knows well that ‘whys’ never end. Hone the real skills that are in the school. For example, I do a technique where someone grabs my weapon. Can I do the technique if they have a death grip on it? Does it still work? What if I change my block angle from this to that? In my opinion, that kind of question is worth asking as it relates directly to the waza. They pertain to the waza and make you understand why you are doing it. But to ask questions like what if I don't have a sword or what if I can’t move to the left etc. If it’s not taught in your school just let it go. Perhaps join another school or work within that school. The other aspect of this is the combative attitude. There is a psychological game. Not just physical techniques. There are attitudes and philosophies. That's what makes your system. Taking things from this scroll or that scroll, this school or that school doesn't really make a complete system. Though there are classical systems that have various schools combined into the one system, however, there is a cohesiveness to them, and they fit. Be prudent with your desire to learn. Be patient and stay put and observe longer. There is a lot for us to explore in martial arts training. Think about your questions before you waste too much time at practice chasing things down rabbit holes. This reminded me of when I first met my current Aikido Sensei, he was teaching something and I asked “what if….some nonsense” and he calmly replied “what if we were hit by a meteor”…. I know this post is from a while ago, but I was linked here from a more recent article. Those are good for me to hear whenever I’m reminded how much I still don’t know–and how much I still have to learn.